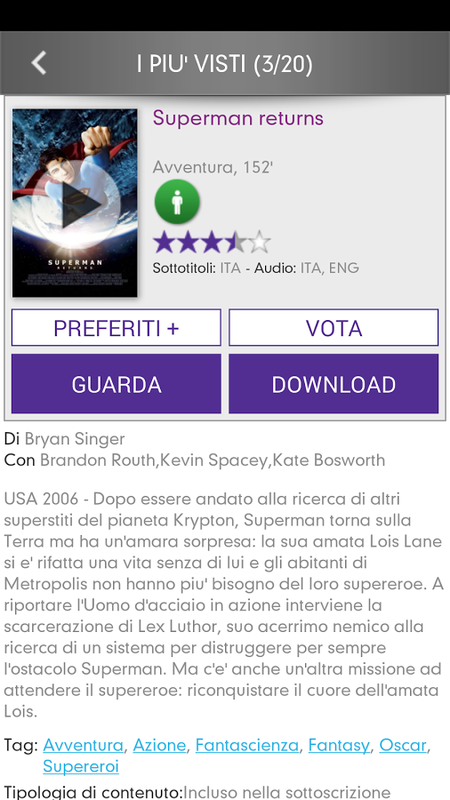 Note: This app is in italian but content can be watch on its original language. Experience all the excitement of the movies and TV series with the most innovative streaming service in Italy. With more than 5,000 infinity content you can watch where and when you want. Infinity offers a rich catalog: thousands of movies, television series, fiction and cartoons in HD and in the original language. Infinity lets you view the contents on five different devices and two at a time. Infinite app strength is the quality of service, the best way to find out is to try. The app offer a trial period of 15 days and you will be able to watch all the content for free without any limitation. This app may not work on “rooted” devices.